Completely legal mod. 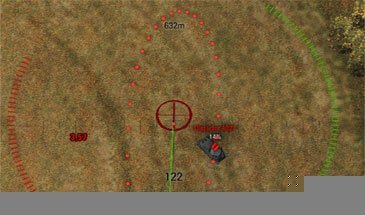 The mod will automatically calculate the suppositional location of enemy tank at the time of your projectile hit. As you know to deliver a crushing blow to the enemy or simply get to him you need to shoot on feedforward. 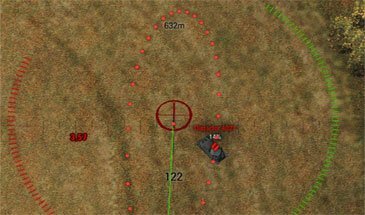 Since tanks are constantly moving and projectiles flying with a lag of a few seconds so calculate the estimated position of the enemy tank is difficult. To do this, you need to be a pro. But if you were not such, or simply want to improve your ability we offer to use modificationcalculating feedforward enemy for artillery. The mod will automatically calculate the alleged place, calculating factors such as; enemy speed and flight of the projectile, and will point to the place with a red cross. Of course mod can not guarantee 100% hit. Folders content and scripts in WOT / res_mods / 0.9.15.0.1 /, confirming the replacement.